Thirty-four people have been displaced following a three-alarm apartment fire Thursday in Fremont. 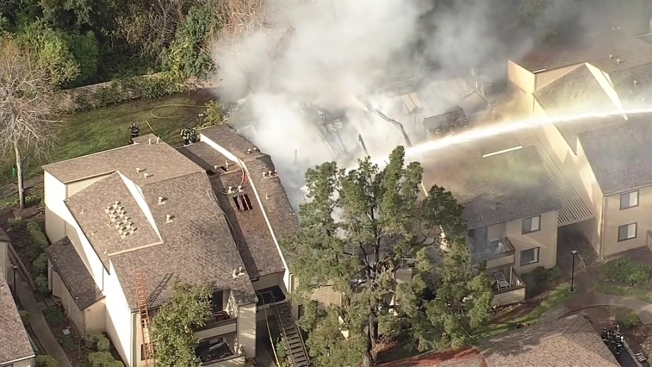 The blaze heavily damaged four units at the Woodcreek Apartments, just off Mission Boulevard and west of Interstate 680. Firefighters added 12 other units may have been affected in the fire. No injuries have been reported and an investigation is ongoing.